Getting some work done around the house? Don't put up with your bank micro-managing your finances while you do. A Home Improvements loan through Harmoney could give you ALL the money you need straight away, without the need for quotes from tradies first. 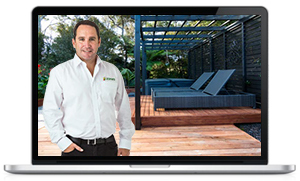 Zones are specialists at designing, building and landscaping outdoor living spaces. 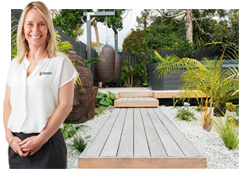 Most landscapers and tradespeople focus on one or two specialist areas, such as concreting, paving or planting. At Zones we provide a total solution across all trades to deliver a hassle free project on time and to your budget. As landscaping specialists, Zones aim to enhance the things you love to do outside. Whether it’s cooking or eating outside with friends and family, playing backyard cricket with the kids, reading a book in the sun, or pottering around the garden, we can design and build a landscape to suit. Zones are a one stop shop. Our services start with a no obligation on site consultation. If both parties agree, then we will provide a design to fit your budget. When the design is complete Zones will then organize and project manage the entire landscape process, from turning the first sod to hosing down the driveway. Zones have experienced project managers that know how to deliver landscaping projects. We start with best practice processes and systems to enable efficiency and control costs. We aim to have zero harm on every project to all people and follow strict health and safety practices. If needed, we will manage the local council compliance needs across all trades and people involved. Harmoney is New Zealand's largest lending marketplace. 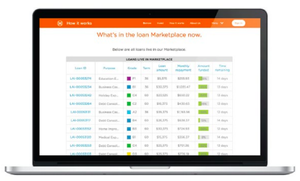 Our marketplace matches people who want to borrow money, with those who want to lend money. It's people lending to people. You're an individual, and at Harmoney we treat you like one. To list a personal loan in the marketplace, Borrowers complete a 100% online application via Harmoney (click here to learn more). As we facilitate responsible lending, we run a bespoke credit screening on all applications, and assign those who get approved with a personalised interest rate based on their personal circumstances. Apply for up to $70K, and you could be breaking out the tools in just a few days. Unlike other big financial institutions, we don't expect builders' quotes or regular progress valuation. Getting a home improvement loan funded by Lenders on Harmoney’s peer-to-peer lending marketplace is easy. If you’re looking to do some home renovations but don’t want to borrow against your home equity, a Harmoney home improvement loan could be an ideal alternative. With no equity reversal, our unsecured loans mean you won’t have to put your house on the line. Try out our loan calculator to start your obligation-free, online loan application, and to get an indication of how much your repayments could be. With personalised, risk-based interest rates ranging from 6.99% p.a. * to 29.99% p.a. *, and no early repayment penalties, there’s never been a better time to get started on that home improvement project. Whether upgrading the kitchen, adding another bedroom or maybe extending the garage, a home improvement loan through Harmoney could save you time and money. Apply for up to $70K, and you could be breaking out the tools in just a few days – or get someone else to.